Where did the Z come from? Pictured left to right Team Z Founders: Luke MacDonald, Kirk Sabean, Brian Rogers and Randy Bullerwell. 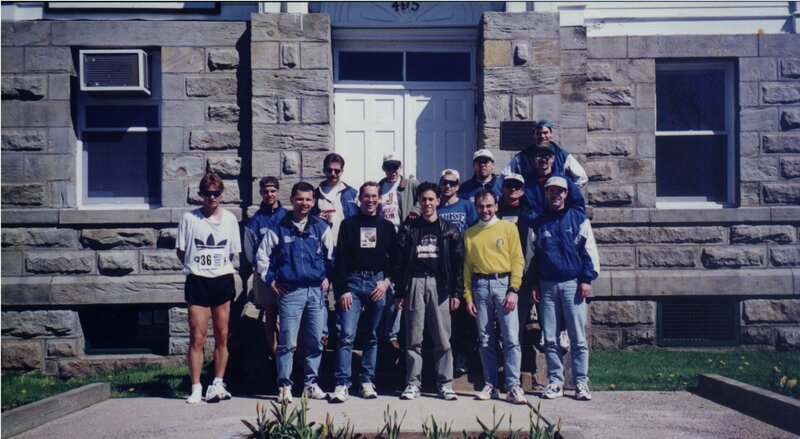 Team Z was formed in the early 1990’s with the mission “to support and promote running in Nova Scotia and increase the participation of junior and younger ages”. 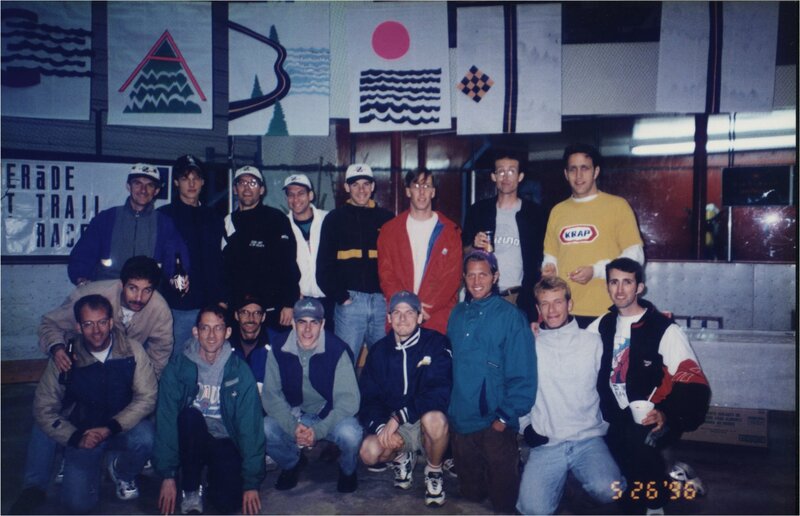 Cabot Trail Team 96 with coach Steve crouching like a sprinter Cabot Trail Team 97 with coach Steve in the middle of the front row and coach Andy at the top right. One of the first things that the Team Z runners did was to pick up 17 bags of garbage in Cape Breton during the Cabot Trail Relay and present them at the Awards banquet. 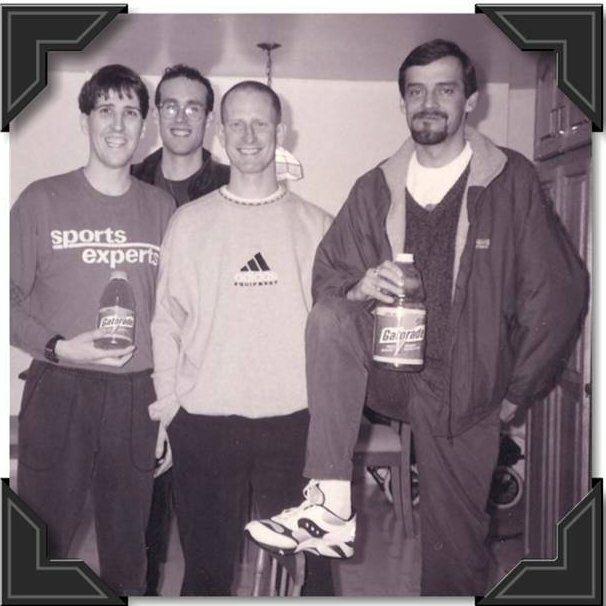 Community minded from the beginning the brain child of Randy Bullerwell and Kirk Sabean was the Youth Development Series of Running started in 1996. Now simply the called the Youth Running Series it started from very humble beginnings. 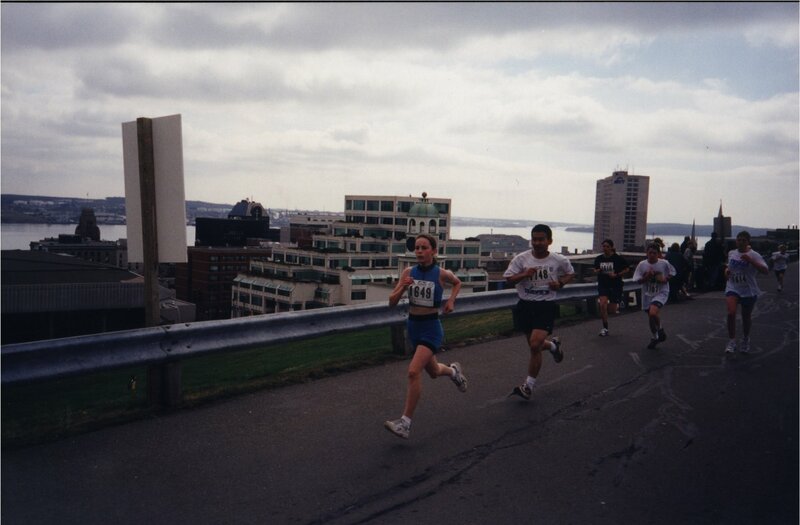 The first race was held in the grounds of the Citadel in Halifax and called “Storm the Fort”.